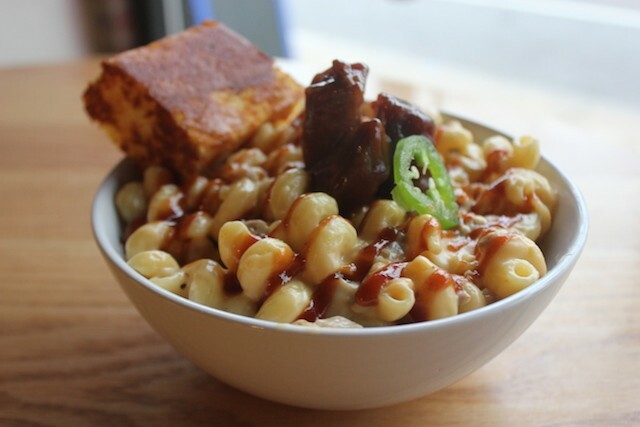 "The BBQ Pork Burnt End Mac" is one of a half-dozen unique takes on mac & cheese. Like just about everyone who goes to culinary school, Michael Makhamreh knew he wanted to open a restaurant of his own someday. 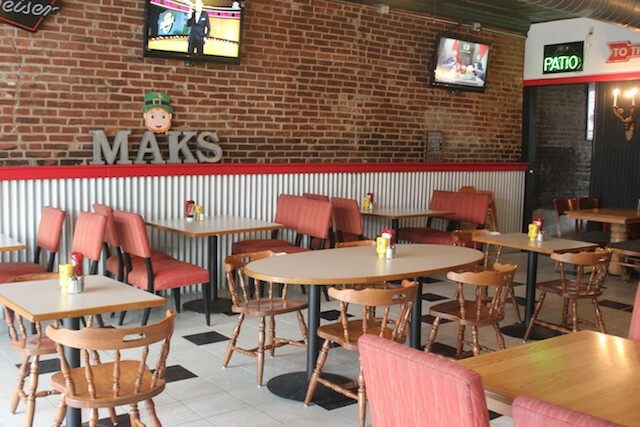 But when he found the building that would eventually house Mak's Pub & Grub (6109 Gravois Avenue, 314-354-8148), "someday" felt like it had arrived just a bit too quickly. A student at the highly respected Culinary Institute of St. Louis, Makhamreh hadn't even graduated yet. He was still in his early 20s. But deep south city is full of bargains, and Makhamreh had found one he just couldn't resist. "It was just so cheap," he marvels. And once he was lured in by the low rent, he says, "I fell in love with this place." "This place" is a light-filled storefront on Gravois just east of Holly Hills Boulevard. Best-known for its stint as a 3 a.m. bar called Nellie Glenn's, it has also been called Screamer's, JV's Pub & Grill and, for awhile, just Nellie's. Exposed brick, a sizable patio, and big windows facing the street make it feel like a corner pub, even on a street where the cars tend to race past. Its checkered history led to some complications as Makhamreh sought a liquor license. 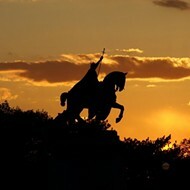 Some neighbors, he says, were convinced that the restaurant he was proposing was just a Trojan horse, that they'd get stuck with yet another late-night spot. But Makhamreh has won over skeptical locals by opening a place that not only closes by 10 p.m. on weeknights (1:30 a.m. on weekends), but also takes its food seriously. Rather than a bar that offers some food, he's opened a restaurant that also has a bar — a shrine to mac & cheese with both ambition and skill. Mak's Pub & Grub is the neighborhood restaurant you wish your neighborhood had. Its young chef is clearly having a blast. There's a fair amount of drunk food on its menu, including the "Brinner," a breakfast-at-dinner (get it?) 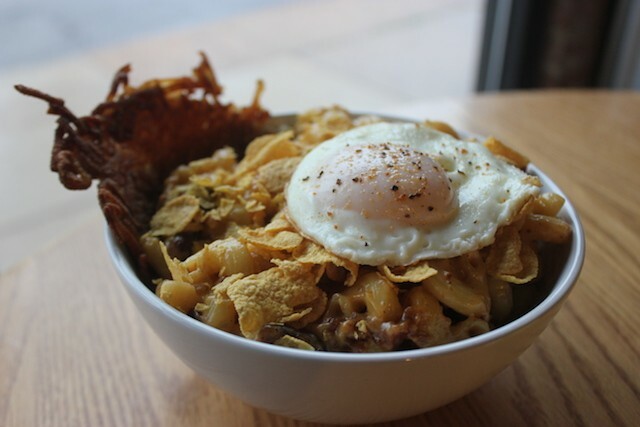 take on mac & cheese that features a bed of corkscrew pasta on top of hash browns, studded with bacon and topped with both a fried egg and cornflakes (yes, really). "I like weird stuff," says Makhamreh. "I want to do things people are familiar with, but to present them in a way they're not familiar with. I guess that's what chefs do: We want to have our own take on everything." The "Brinner" combines breakfast food with everyone's favorite comforting snack. And so the "Southside Gravy Fries" aren't the same riff on poutine everyone has been doing lately; they're a pile of fried potatoes given a Southwestern twist with chorizo pork gravy, ghost pepper cheese, red chiles and a delectable cilantro-lime crema. The same flavors are at play in the "Mi Chaparrita Mac," which features corn, cilantro, and lime on a bed of ghost pepper jack cheese and corkscrew pasta. The heart of the menu are the mac & cheese options — there are six, each a creative riff on the classic. There's also "the Meltdown," a mac & cheese-stuffed grilled cheese sandwich, served with fries for a heart attack on a platter. Oof. There are also salads, wings and even hummus, the recipe courtesy of Makhamreh's mother, who emigrated from Jordan. Nothing is more than $9.50, and the portions are huge. "People will say, 'It's $10?' And I tell them, 'Finish it. I dare you to finish it,'" he reports. Most people cannot. A laidback old pro at 23, Makhamreh admits that opening a new restaurant from scratch has been even harder than he thought. He's still smarting from his very first negative review, which someone posted on a neighborhood site complaining that the kitchen was slow. "Dude, we had three people working that, and 100 people in here," he says. He knows that's on him, but trying to figure out how to deal with the up-and-downs of the restaurant business has been a challenge. So has the space's kitchen, which is unbelievably tiny. Still, Makhamreh wouldn't trade it for anything. "There's a lot of stress in being the boss, but there's a lot of pleasure in it, too," he says. 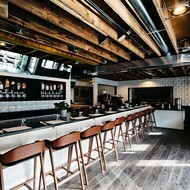 See more photos of Mak's Pub & Grub below. 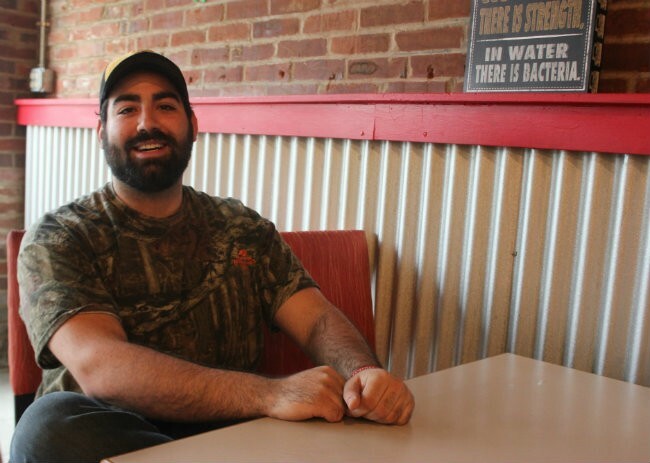 Michael Makhamreh got a loan from his mom and opened the business in mid-December. 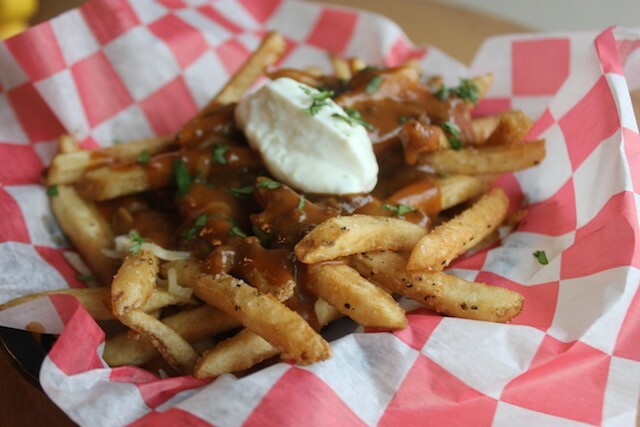 The "Southside gravy fries" are smothered with chorizo gravy. 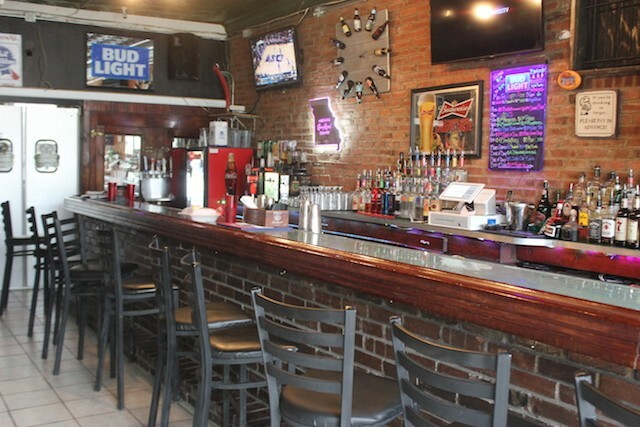 A classic bar offers a spot to watch the game or just drink. A second room provides lots of seating options. 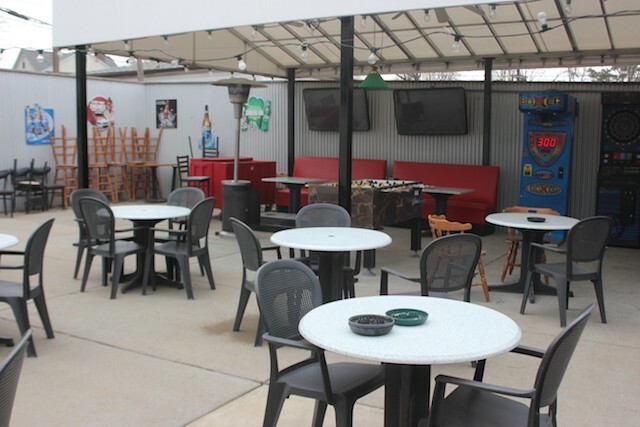 The patio features some classic arcade games, plus a foosball table. The restaurant is located in Princeton Heights.